It’s often said that the art of good cooking is in the presentation. So, if you’re going to the trouble this Christmas of making a meal or buffet which delights the eyes and the taste buds, it makes sense to complete the occasion with a beautiful cheese board or cheese platter. Which to choose – cheese board, plate or platter? It makes no difference to the taste of the cheese whether you choose a wooden or slate cheeseboard, or a ceramic plate or platter – it’s entirely down to personal preference. If you are serving a large variety of cheeses, then you may find a cheese board is most versatile. However, if you’re hosting a buffet and want your cheese to be on display for a couple of hours or more, it may be best to opt for a covered cheese plate. We have a lovely selection of cheese plates and platters for you to choose. 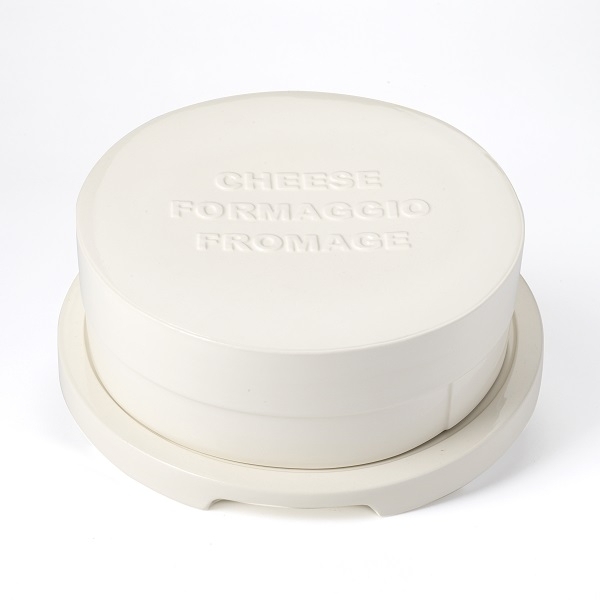 Alternatively, the Ceramic Cheese Platter and Lid is a stylish, modern design inspired by the traditional round wooden camembert and brie boxes. 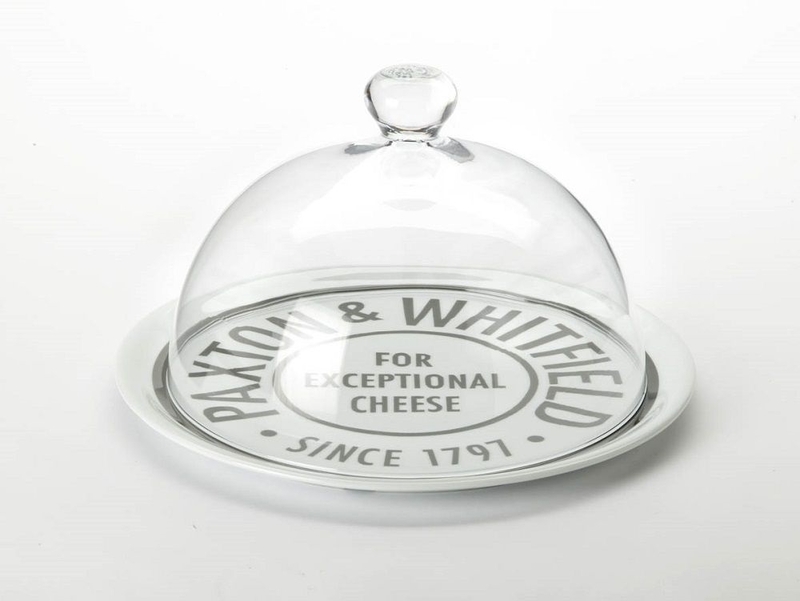 Our Milk Bottle Top cheese plate set makes an interesting, nostalgic talking point and adds a touch of colour to your table. 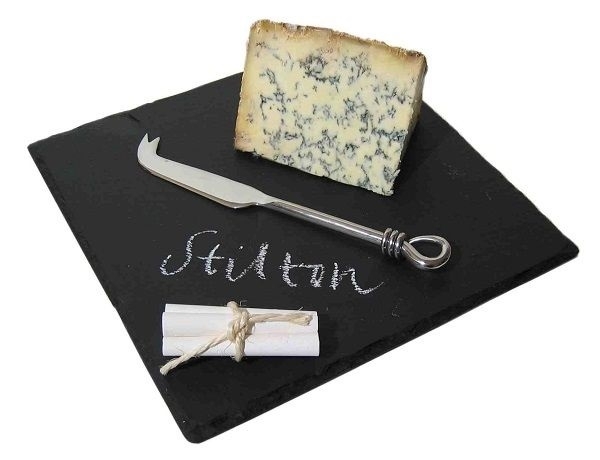 Slate cheeseboards are very popular, partly because the dark background makes a lovely setting for all kinds of cheeses. We have two sizes in stock – our medium slate cheeseboard is approximately 38cm by 20cm and our small slate cheeseboard is approximately 30cm by 20cm. Each is made from hand-crafted black slate from the Lake District. 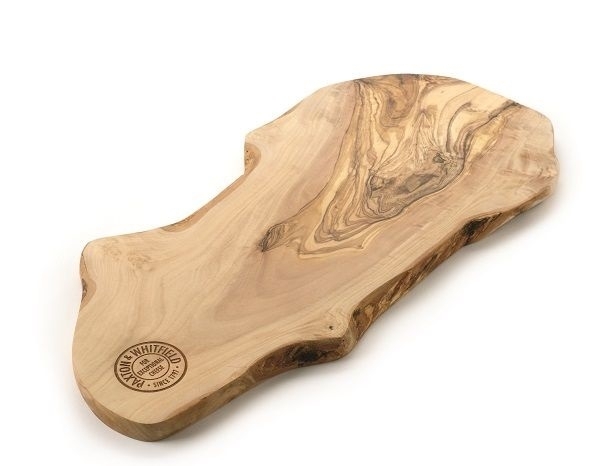 We also have a variety of wooden cheeseboards in a variety of shapes and sizes. 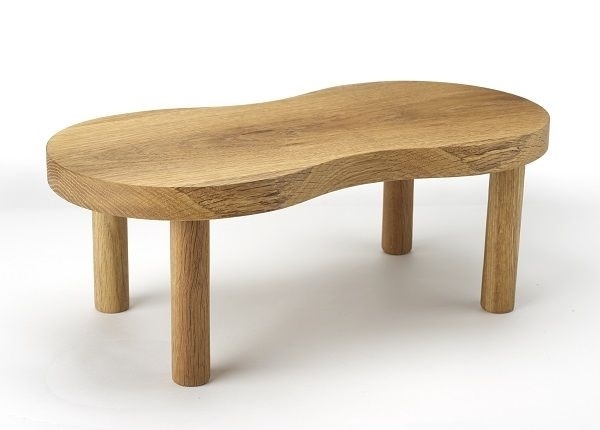 The Big Feast Oak Board stands proud of your table so is a great way to make a cheese centrepiece. The Olive Wood Platter is an eye-catching, unusual shape and carries the Paxton & Whitfield seal among the beautiful, natural grain of the wood. 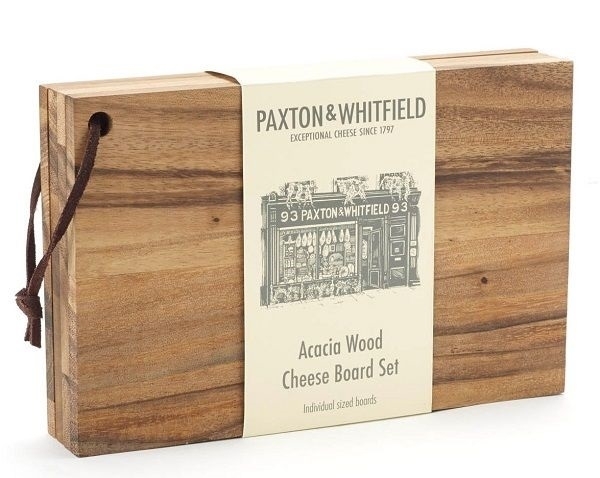 The Paxton Acacia Cheese Board Set contains four individual cheese boards measuring 23cm x 15cm. This set is ideal for dinner parties as guests don’t have to move far to get to the cheese! All of these cheeseboards, plates and platters will ensure your cheese is the perfect finale to a delicious meal. Need inspiration for your cheeseboard? Take a look at this video on how to create the perfect Christmas cheeseboard featuring Hero Hirsch from our Jermyn Street shop. Or read this post on how to create the perfect cheeseboard. Remember, you can visit our cheese counter to buy all your favourite cheeses, or view our cut cheese collections for some of the very best artisan cheese combinations.